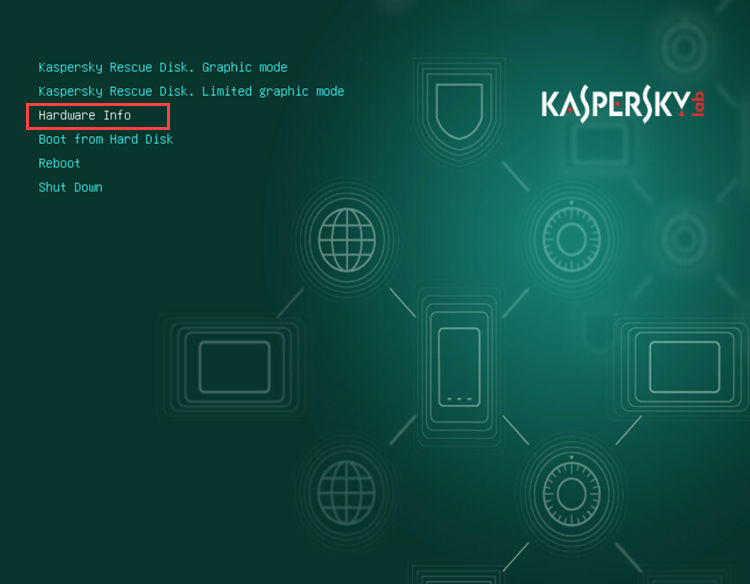 If you cannot start your computer with Kaspersky Rescue Disk in graphic mode, it might be because your computer’s hardware is not supported. Start the computer with Kaspersky Rescue Disk. 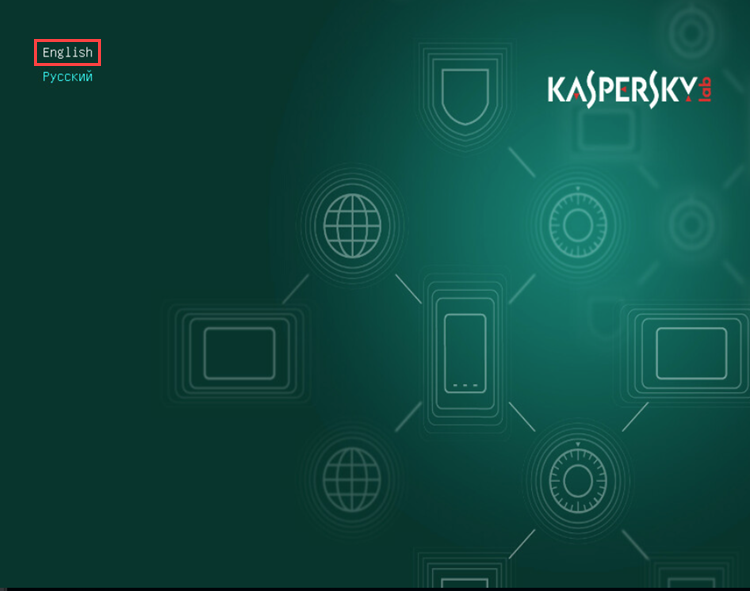 Press Esc when the message “Press Esc to load Kaspersky Rescue Disk” appears. Select a language for the graphical interface and press Enter. Select Hardware Info and press Enter. Using the Tab key, select Save and press Enter. Connect a USB drive, select OK and press Enter. Select the USB drive from the list, then select OK and press Enter. 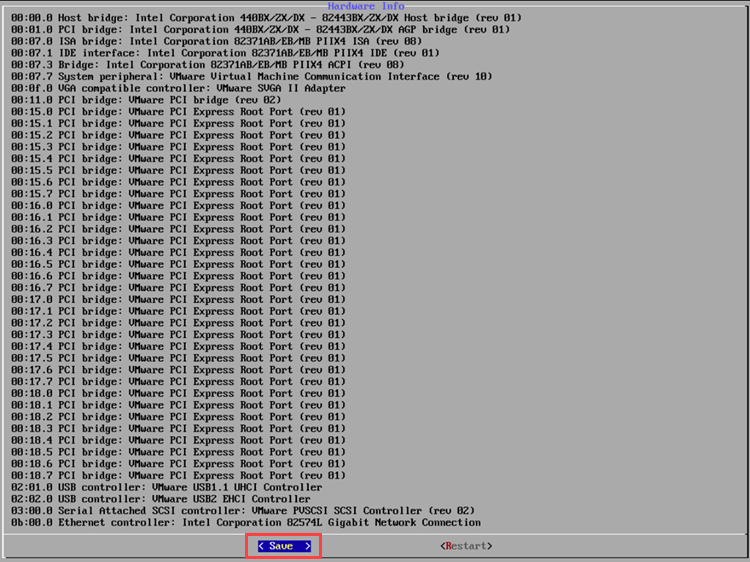 Select a directory in which to write the file containing the hardware information, then select OK and press Enter. Use the up and down arrow keys to select a directory. To enter a directory, press the space bar twice. Confirm saving the file. To do so, select Yes and press Enter. 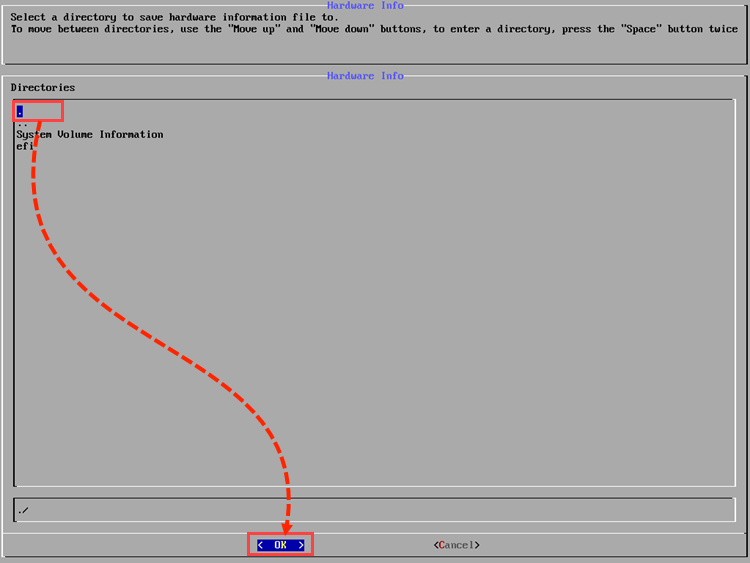 Copy the file containing the hardware information from the USB drive.